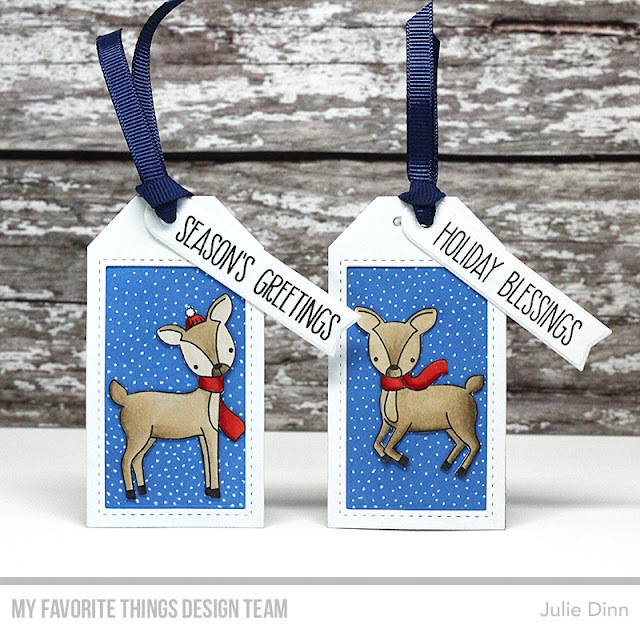 The MFT team is sharing some fabulous Christmas tags in this month's Creative Construction with Blueprints Challenge. You know you can never have too many tags this time of year! I inked up the adorable Dashing Deer stamp set. I stamped the images on X-Press It card stock and I colored them with Copics. I fussy cut the deer and placed them on a snow-filled Cornflower background. 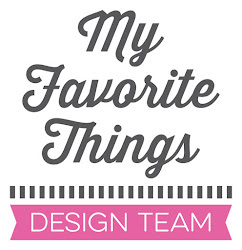 I used the Tag Builder Blueprints 5 Die-namics to create the tags. The sentiments were stamped on flags created with the Tag Builder Blueprints 6 Die-namics. Awesome tags and I love how you used the Tag Builder Blueprints 5. You made such a lovely scene.